Docker is one of open platform under the Apache License version 2.0 for sysadmins, developers, or anyone who has a goal to use the platform to build, distribute, and run the application anywhere. Starting from the data center, laptop, virtual machine, or a cloud. 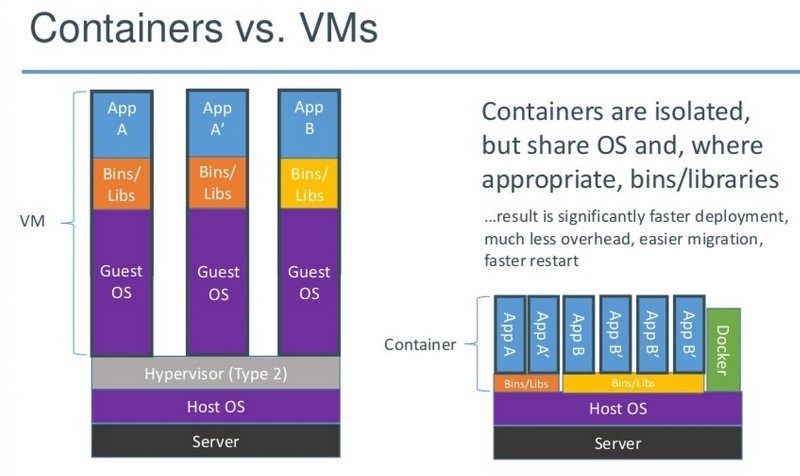 Docker Platform enables application packaging process and its components in isolated containers quickly. Thus can run anywhere without having to bother to set up the container. So were admittedly provides its own efficiency for the user. Docker can be used for free. Docker can be run only on a machine with a Linux operating system. However do not worry because the next generation of MS. Windows will have native container features or alternatively by utilizing a virtual machine on a Windows machine. It is no secret when the Linux kernel features a cgroups are able to isolate resources such as networks, I/O blocks, CPU, and memory without having to run virtual machines. At first Docker was actually developed as an internal project at dotCloud by Solomom Hykes shared some of his colleagues as Francois Xavier Bourlet and Andrea Luzzardi. You could say Docker is the evolution of a proprietary technology that is subsequently transformed into a similar open source project as well as Cloudlets. The release of Docker open source version also new, in March 2013. Although still newer fact Docker successfully captured the interest of many people. This can be seen in just a short time Docker has thousands of asterisks and atract hundreds of people, as well as hundreds of contributors. Docker using Client Server architecture. In this case the request is sent in the form of an order from a client to Docker Daemon such build, send, and run the container. Docker client is a binary form which is the primary user interface for Docker who receive the user’s commands and communicate with Docker daemon. While Docker daemon running on the host machine. Note, user does not interact directly with Docker Daemon but through Docker Client.